Water is a fundamental resource in agriculture but geography, high temperatures and rain scarcity influences the water availability. How can increase water efficiency in unfavorable weather condition or in presence of water scarcity? The solution is MICROSEED WR. 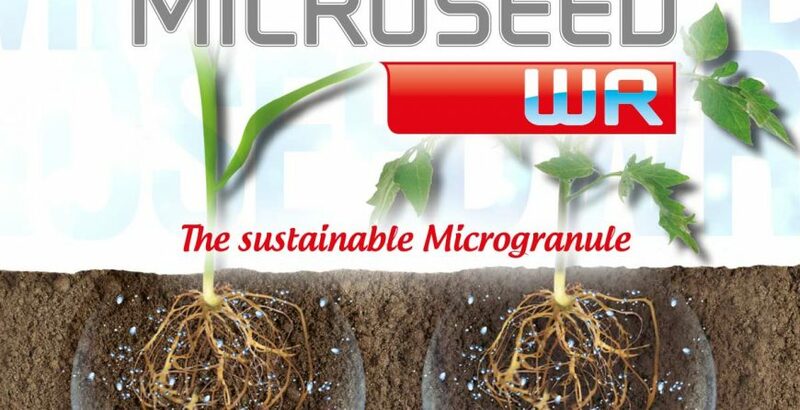 MICROSEED WR is the only microgranular fertilizer that containing an innovative plant-based polymer that can increase the soil and growing media Water Retention, the polymer persists in the soil for 4 to 6 months and it rehydrated every irrigation or rains. 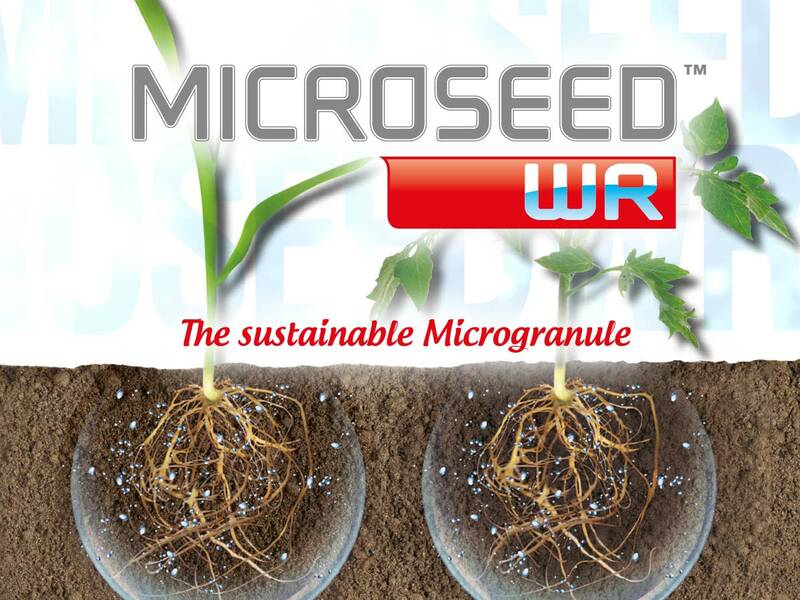 MICROSEED WR ALLOWS TO MANAGE RAIN WATER AND IRRIGATION WITH MAXIMUM EFFICIENCY. MICROSEED WR is distributed during the sowing with 25-30 kg/ha or mixed with the growing media 300 g/m3. 1. Creating a Comfort Zone around the seed and roots. 2. Reduction water evaporation and percolation losses. 3. Increased Water Retention in sandy soils. 4. Increase water availability during the crop cycle. 5. Strong starter effect thanks to nitrogen, phosphorus and zinc input. 1.Increasing the contact surface with the soil: 5-6 times higher than conventional granular fertilizers. 4. Each microgranule has omogeneous chemical composition. 5. Elasticity use in:field, greenhouse and spit. 6. MICROSEED WR can be distributed either with micro-granulator or inside the hopper layered with the seed or mixed with the growing media.